Throttle Body for 2002-2006 R50 MINI Cooper NON S and 2005-2008 R52 Cabrio NON S. Sometimes these stock MINI throttle body will fail and put your MINI into limp mode. When this happens the car may idle but won't go over 5mph. This is a stock oem replacement throttle body. 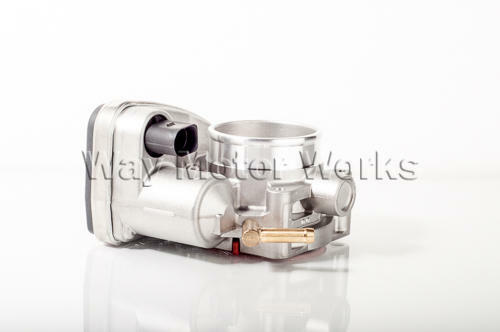 WMW doesn't sell the bored out throttle bodies as we've seen them fail too often. Sold as one individual throttle body with gasket.